When the fall rolls around, it’s all about vibrant foliage, apple picking, warm sweaters, and pumpkins! Pumpkin picking is one of the most important aspects of fall. 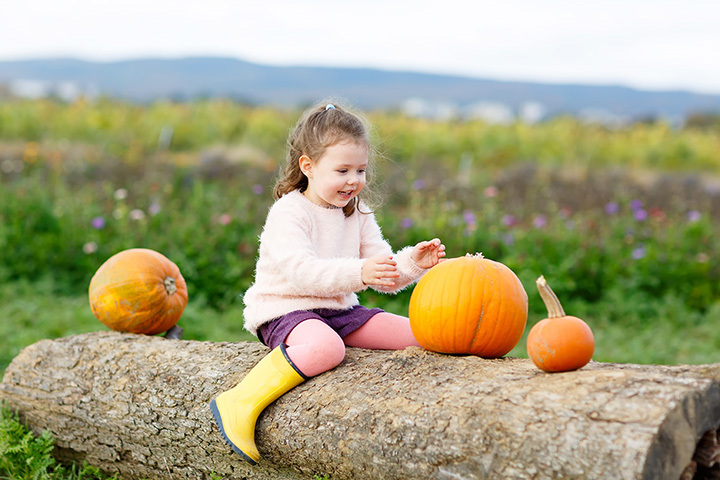 Whether you plan on baking up a pumpkin pie, picking out the seeds for a nice snack, or carving out a friendly Halloween face, these amazing pumpkin patches in Alabama will surely have what you’re searching for! Bennett Farms is a four-generation farm that rests just outside of Anniston. From hay rides to petting zoos to corn mazes, they have everything. You can even stop by their country store to find homemade goods, or dine at their cook house. Seated just south of Tuskegee, the Dream Field Farms hosts a fall festival throughout the month of October. The festival features pumpkins, hay rides, inflatables, fresh baked goodies and more. A fun stop for the whole family. Paradise Pumpkin Patch offers a wide variety of fall-fun activities from hay rides to pumpkin picking. What sets them apart is the wide variety of animals in their petting zoo, featuring camels, zebras, kangaroo, buffalo, alpacas, llamas, donkeys, cows, horses, sheep, and goats. A short drive outside of Tuscaloosa, the Pumpkin Patch Express is hosted at the Heart of Dixie Railroad Museum. A vintage train takes you for an autumn ride to a pumpkin patch hidden in the forests of Shelby County. Kids will also enjoy a visit from the Great Pumpkin. One of the oldest functioning farms in the South, Old Baker Farm is acres of beautiful landscape and perfect for pumpkin picking. The farm also hosts a Living History Day where kids of all ages can come see what life on the farm was like in the late 1800s. Southeast of Tuscaloosa lies the family-oriented fall experience at Griffin Farms. Admission price includes one pumpkin per person, petting zoo, bouncy houses, hamster wheel, zipline, hay and tire mountain, and so much more. Scenic McGee Farms sits on the border of Alabama and Tennessee, and is home to several living farm animals including chickens and goats. The farm provides several picnicking areas for enjoying a lunch out with the family. The Great Pumpkin Patch hosts plenty of activities to get you out and enjoying the fall air. Aside from its excellent pumpkin selection, they regularly feature music from local bands and a large Hay Pyramid built for climbing. Delicious fall treats can be found on campus at the Red Barn Kitchen or the famous Pie House.